V2482. 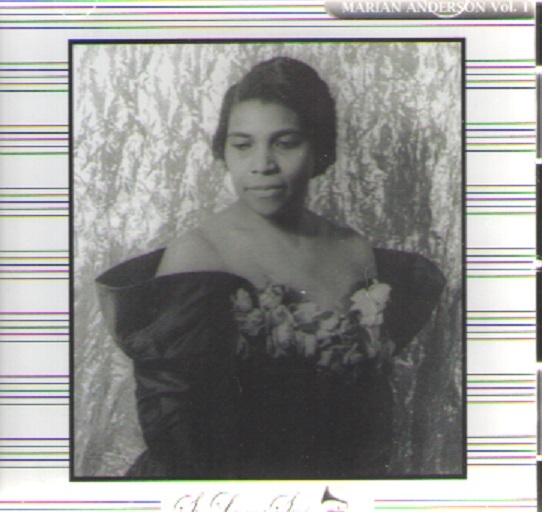 MARIAN ANDERSON, w. Franz Rupp (Pf. 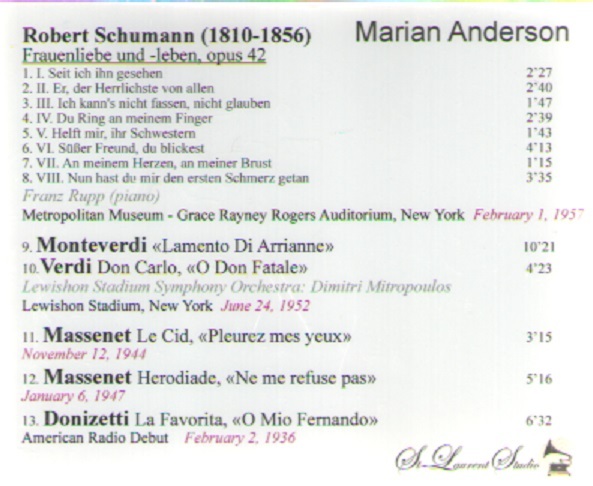 ): FRAUENLIEBE UND LEBEN (Schumann), Live Performance, Metropolitan Museum of Art, Grace Rainey Rogers Auditorium, 1 Feb., 1957; w.Mitropoulos Cond. 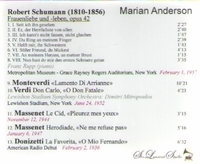 Members of NYPO: LAMENTO DI ARIANNA - Lasciatemi morire (Monteverdi); DON CARLOS - O don fatale - Live Performance, Lewisohn Stadium, 24 June, 1952; LE CID - Pleurez, mes yeux - Live Performance, 12 Nov., 1944; HÉRODIADE - Ne me refuse pas - Live Performance, 6 Jan., 1947; LA FAVORITA - O mio Fernando - American Radio Début, 2 Feb., 1936. (Canada) St Laurent Studio YSL T-384.